This California style Spanish-style bungalow home in the vibrant neighborhood of West Hollywood offered an exceptional blank canvas for its design. Desiring a home that celebrated the clients’ personal love of art, color and sculpture, Kelly Wearstler created within the expansive open layout a self-confident design incredibly unique with an infusion of contemporary and vintage art, furniture and sculpture by established and prominent emerging artists. Inspired by the client’s own paintings, the bright, playful yet sophisticated color palette punctuates the fresh spirit and artful, happy mood throughout the home. 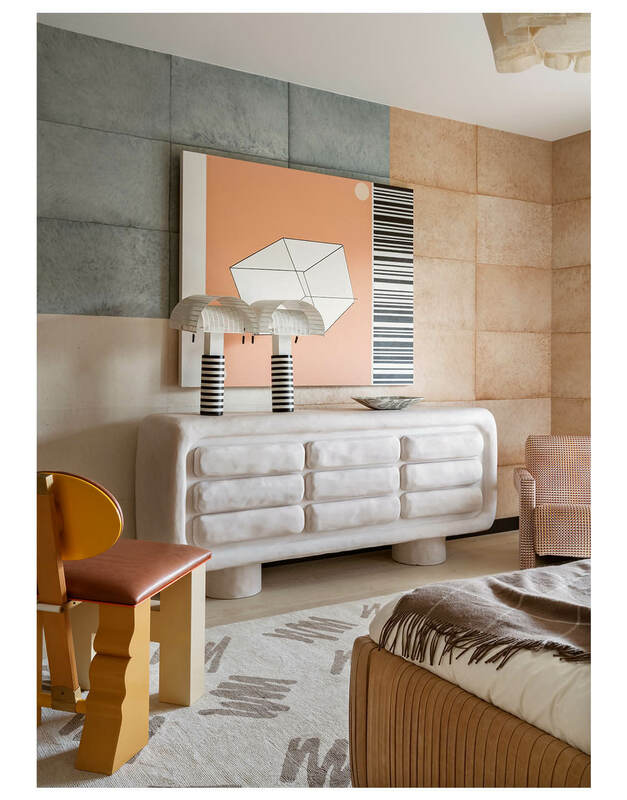 Dynamic Memphis art pieces, including vintage Ettore Sottsass and Gary Knox Bennett, and contemporary commissions are thoughtfully incorporated into every room. 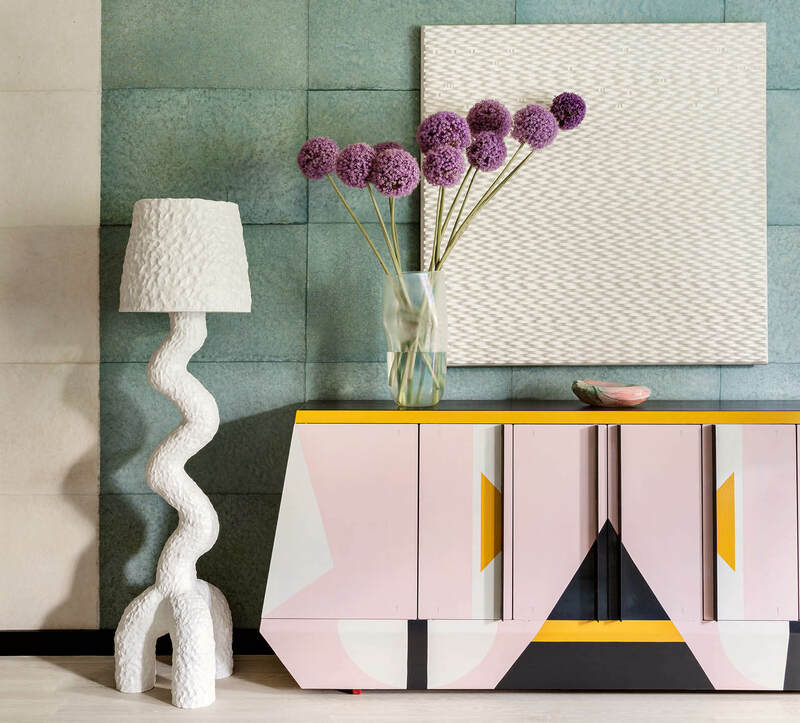 A leafy gesso cabinet fashioned by Katie Stout, a malleable chandelier sculpture by Misha Kahn, a resin-coated credenza by Matthew Morgan and a Peter Shire custom bar cabinet are among the key pieces adding distinct personality to each living space. Walls are appointed with the client’s own paintings mixed with pieces by Op Art maestro John Townsend and rising San Francisco talent Jonathon Anzalone. 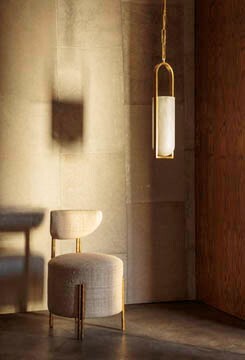 Wearstler brought the client’s artwork further to life by translating select paintings into custom silk and woven area rugs and textiles placed throughout the avant-garde home.